No one wants to pay more for their household bills than they have to. It doesn't matter what income you're working with; there are ways you could be reducing your household bills. These are some of the most surprising ways you could easily cut costs. We spend a lot on food, but it's one of those costs that are more difficult to budget because it's an absolute necessity. 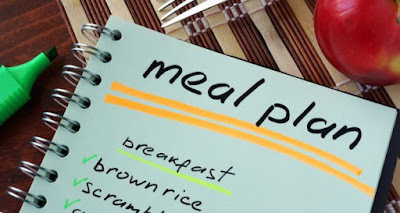 However, you will find that if you plan your meals ahead of time, you can significantly cut your grocery bill. When you have your meals planned ahead of time, you're less likely to give into temptations to buy items that you don't need. You can also avoid tempting areas of the grocery store if items on your list aren't there. Many people continually pay monthly bills for utilities and phones without actually understanding what they're paying for. Every couple of months, look at your bills in detail. Cut services that you don't need or don't use. The cable bill is particular often has many line items, such as TV stations or movie channels, that you may never use. Understand your bills and negotiate lower prices for fewer services. When you purchase a house, you have little negotiation power over the interest rate you receive. It's based on your credit, down payment, and the amount of the loan. However, if you've paid into the loan for many years, it may be time to refinance. Refinancing can reduce your interest rate and can leave you with a much more affordable of mortgage payment. Most grocery chains and retailers have frequent sales. These are the perfect opportunity to shop for the items you want at a discounted price. Combine these sales with coupons, and you'll see large savings on items you were planning on purchasing anyway. Sign up for couponing papers, and always become a member of the store's loyalty program. Loyalty members are usually rewarded with steep discounts and even free items. Changing out your current thermostat for a programmable one can save you hundreds per year. The thermostat can be set so that the temperature automatically lowers in the middle of the night and then increases during the day. You can also schedule thermostat settings to cut energy use when you're away from home for long periods of time. These minor changes can save you up to $180 per year. Keep your cash in your pocket where it belongs. A routine HVAC maintenance check can cut the costs of cooling your home this summer. Homeowners will see a significant increase in energy costs as they begin cooling their homes with the HVAC unit. When the system requires a tune up, it works longer and harder, which translates into higher costs. Scheduling maintenance on your HVAC unit ensures everything is working properly. Don't throw away your hard-earned money by paying more for household bills than you should be. These surprising household bill cuts can save you a significant amount of money every year.